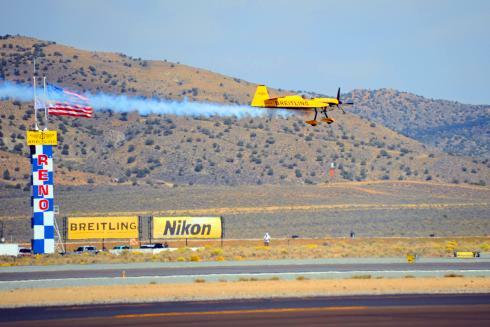 With the Air Races in Reno being such an important event for Breitling, where else to do the global unveiling of their new ultimate pilot’s watch than the famed National Championship Air Races in Reno, Nevada! With international media joining Breitling from as far away as Japan and as close by as New York City, several journalists were hosted on behalf of Breitling at this monumental event. 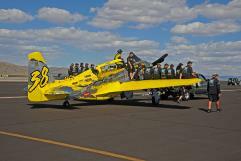 The programme began with a joint press conference between Breitling and the Reno Air Racing Association, along with a few VIP’s speaking including Breitling Vice President Jean-Paul Girardin, Reno President Mike Major, Former Astronaut Mark Kelly, Defending Breitling Unlimited Gold Race Pilot Stevie Hinton and Red Bull Air Race Pilot Nigel Lamb. 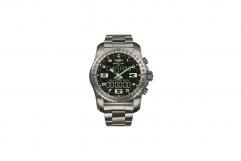 With over 50 media attending the press conference, the all-new Breitling Cockpit B50, the ultimate pilot’s watch was officially unveiled to great acclaim and praise! 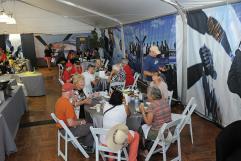 In addition to exclusive interviews with all of the executives on-site and the excitement of the races including an F22 flyover, media also enjoyed luxurious accommodations, first-class hospitality at the races and each evening, including the favorite Country Western party at Rancharrah, which even included some Nevada country line dancing! In addition to international media being hosted the duration of the week, Centigrade also helped coordinate the program for additional guests including customers, jewelers and VIPs. 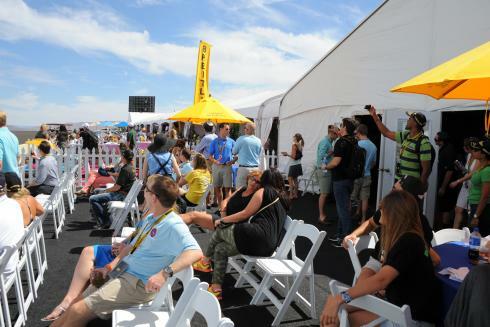 The weekend provides a glimpse into the heritage of Breitling, which is deeply-rooted in aviation but also touches on the excitement and passion of these pilots and race fans, a true experiential program that conveys to all that attend exactly what Breitling is!